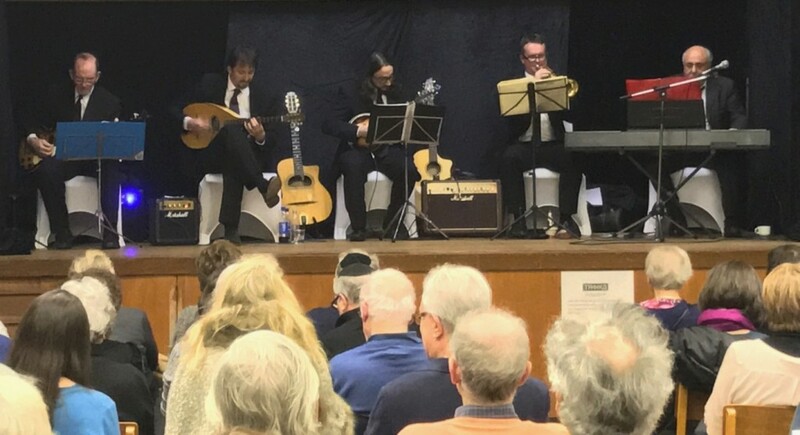 Hampstead Synagogue’s 125th year kicked into full swing on Sunday 19 March, with a lively Klezmer Jazz Concert from Troika. the 1930s, to the wild Steppes of Cossack Russia and into the 1920s Jewish Odessa. The audience were swept away with the exciting sounds of klezmer, expertly delivered by Wally, with Paul Gregory (Jazz Manouche guitar), Mathew Heery (guitar and mandolin), Mark Armstrong (Trumpet) and Allan Straton (bass guitar). A big thanks to them, our sponsors and in particular Tony Ostrin for pulling it all together.